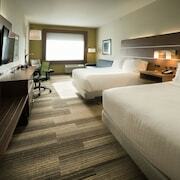 Which hotels are closest to the Edmonton airport? Can you find accommodation in popular areas of Edmonton? 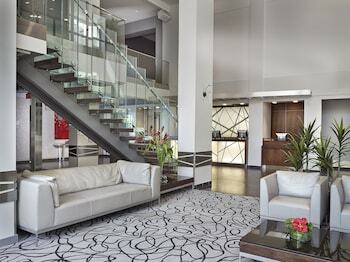 Where to stay near top Edmonton attractions? 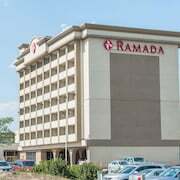 What kind of hotels are in Edmonton? Which hotel chains are in Edmonton? Travelers to Edmonton give high marks for the festivals, riverfront, and popular theater scene. Tourists who journey to this vibrant city can discover its hockey games, entertainment choices, and shopping. Top sights in the city include West Edmonton Mall, West Edmonton Mall, and Commonwealth Stadium. Known for its festivals, theaters, and live music, the city's cultural venues include Citadel Theatre, Winspear Centre, and Art Gallery of Alberta. The city's natural setting is picturesque, including the riverfront and Fort Edmonton Park. Shopping is one of the favorite things to do, so consider an excursion to West Edmonton Mall, Edmonton City Centre, and Kingsway Mall. 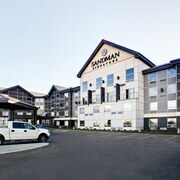 Wyndham Garden Edmonton Airport - This 3.5-star hotel features free breakfast, a restaurant, and free WiFi. 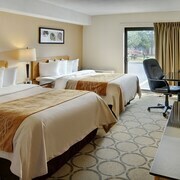 It's a favorite with Expedia travelers for its overall value and proximity to the airport. Villa Maria Country Inn - With a stay at this 3-star bed & breakfast, guests can enjoy access to free breakfast and free parking, along with free WiFi. 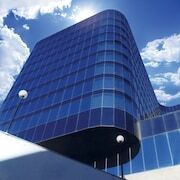 Four Points By Sheraton Sherwood Park - With a stay at this 3-star hotel, guests can enjoy access to a restaurant and an indoor pool, along with free WiFi. Expedia customers like its dining options and overall value. Other favorite sights in Edmonton include West Edmonton Mall, Commonwealth Stadium, and Rexall Place. With so many transportation options, seeing all of Edmonton is a breeze. 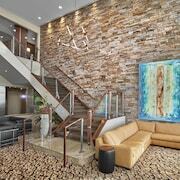 Walk to nearby metro stations like Central Station, Bay-Enterprise Square Station, and Corona Station. If you want to venture outside of the area, ride aboard one of the trains from Edmonton Station. 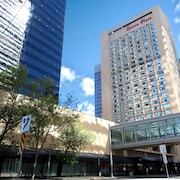 What are the most popular hotels in Edmonton? 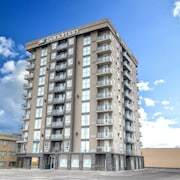 Are there hotels in cities near Edmonton? 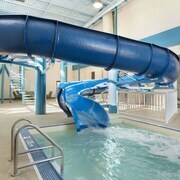 Explore Edmonton with Expedia.com.au’s Travel Guides to find the best flights, cars, holiday packages and more!